What if you could turn your book into a profitable business? Would it enhance your credibility, and your bottom line? Listen and learn from expert business strategist, Earl Bell, as he shares little known strategies to turn your book into a profitable business. 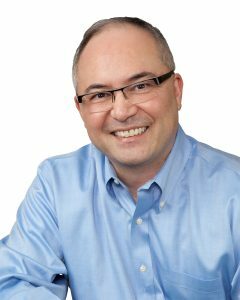 Earl Bell is an author, consultant, and success coach slash trainer, for business owners and leaders. His expertise comes from the world of business where Earl was the chief financial officer for a 17 billion dollar registered investment advisory firm, and also from the world of youth sports, where he coached 22 baseball and softball teams over the years. He’s the author of “Winning in Baseball and Business: Transforming Little League Principles Into Major League Profits For Your Company“. Q: Earl, what hat did you think your book would do for you? A: I thought that the book would be able to, in a very logical way, describe and share basic principles that any business owner could use. For me, it was a calling card. I can tell you that a lot of my clients today came from reading the book and really taking interest in the way that the book was structured. Each inning in the book, it was a ten inning book, started with a Little League principle. 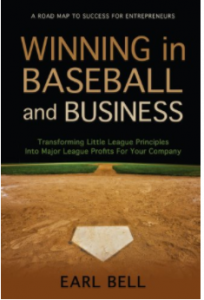 The second section of the chapter was really about taking the Little League principle and giving examples of how the principles were applied in business. Then at the end of the chapter, having workbook exercises, and I believe this is really where the transformation comes place, taking the information that you have and applying it to your specific situation in your specific company. A lot of times, people go through the book, they do the exercises, and they go, “Wow, this is really great, and I’m getting huge value for 25 dollars. I wonder what else I can get.” At the end of the book, there’s a way to contact me, and more often than not, people will reach out and they’ll want to learn more. It’s been a fabulous business development tool for me. To contact Earl for more information about his services.